My Thin Mints didn't last very long. They never do. 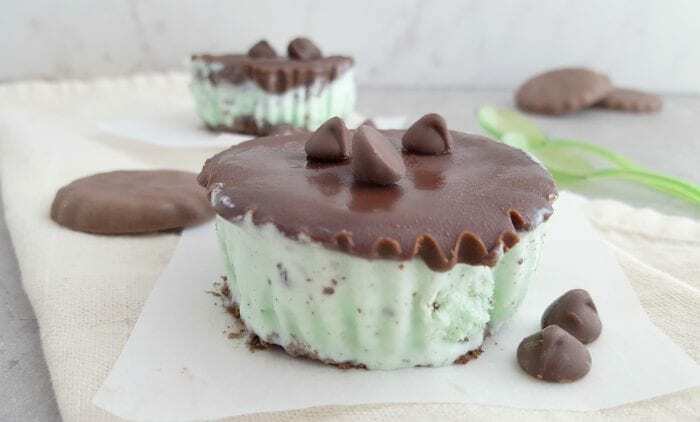 So these Mint Ice Cream Cookie Cups are going to hold me over until next year's Girl Scout cookie season. I guess in the mean time I should hit the gym because those cookies were gone in record time. My oldest discovered that she loves mint ice cream. I wasn't a fan for years but it has grown on me and now I love it. 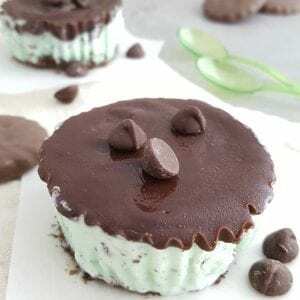 Gather your ingredients and let's make some ice cream cups! Set the ice cream out so that it has a chance to soften. 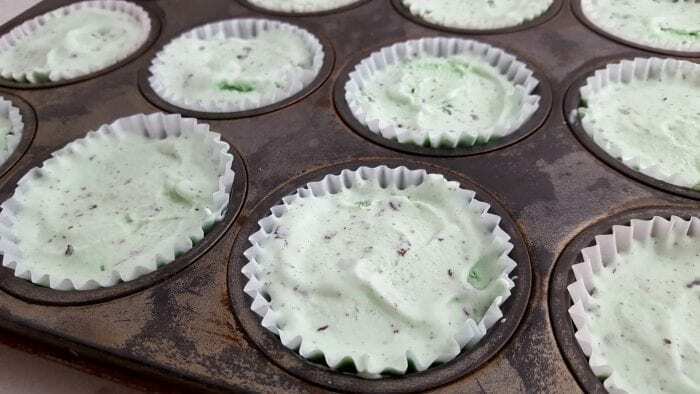 Line your cupcake tin with cupcake liners. I also like the silicone liners for ice cream cups. Place the cookies into a food processor and pulse until they are crushed. You can also place them in a bag and let the kids beat it up to make them nice and crumbly. 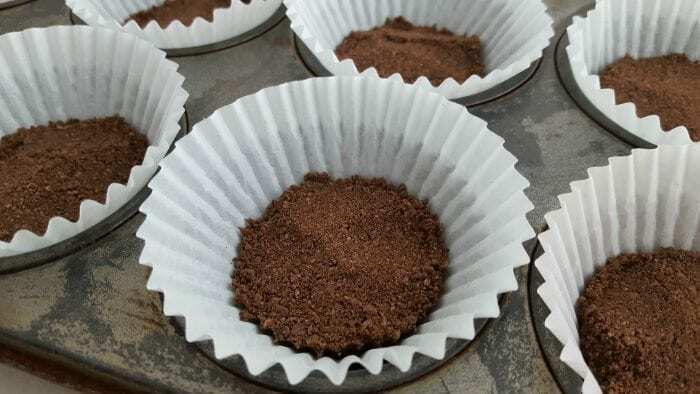 Sprinkle a layer into the bottom of the cupcake liner. Now scoop some the softened ice cream into the liners leaving some space at the top for the chocolate. After you've melted the chocolate, spoon it into the top of the ice cream and place back into the freezer. You can also put on any decorations at this time when the chocolate is still warm. 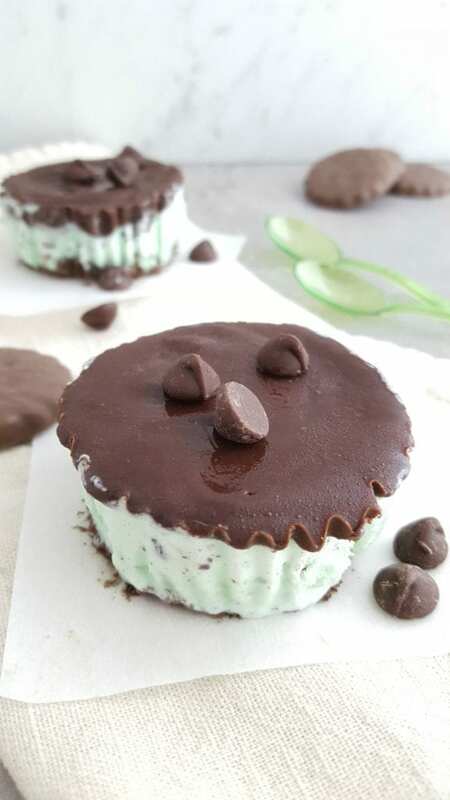 Now you have a yummy Mint Ice Cream Cookie Cup to snack on. 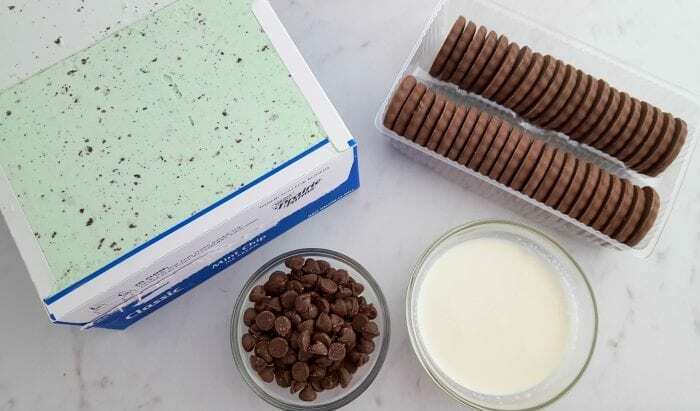 1 package of chocolate mint cookies great way to use up Thin Mint Girl Scout cookies! 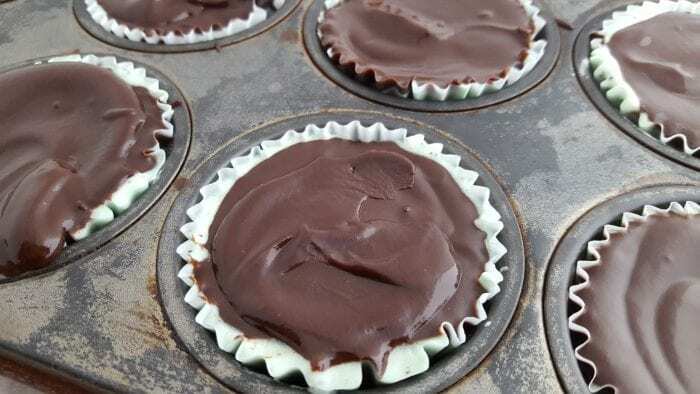 Using a small sauce pan on low heat, melt the chocolate chips – stirring consistently. Add the heavy cream and combine. Additional heavy cream may be added to taste, if desired.